Outdoor furniture is swiftly becoming as refined and well-designed as the furniture made for our homes – and oftentimes every bit as costly. It is increasingly important, therefore, to properly care for these pieces so that they can serve you from year-to-year and ideally, from generation to generation. Some wear and damage is inevitable especially when living in areas of extreme weather, but there are simple ways to preserve and protect your outdoor furniture regardless of the elements it endures. 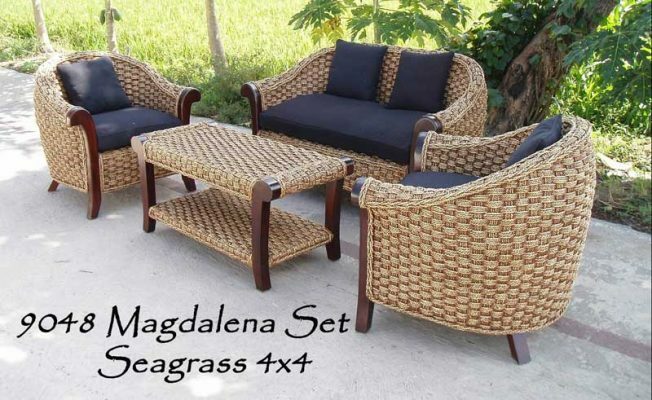 Wicker is an excellent choice for outdoor furniture. Its organic look blends well with nature, and its lightweight design makes it easy to move around. It is also a wonderfully durable material for outdoors, but it requires a bit more care than is often thought. 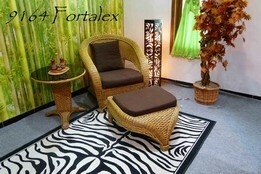 To start, wicker furniture is very susceptible to expansion and contraction but fares better in the heat than the cold. If possible, wicker should be brought indoors during the winter months – especially in climates that experience prolonged freezes. Secondly, wicker fibers can fade and breakdown over time, but keeping it oiled and free of debris is recommended to prevent this. A light coat of tung, linseed or lemon oil at the beginning of each season will keep the weave pliable and weather-resistant, and a good dusting once or twice per season will do wonders. Wicker furniture can be hosed down if necessary, but be sure to wait until it is completely dry to apply weight or pressure to avoid sagging. When it comes to the care and treatment of outdoor teak furniture, the mantra is surely, “less is more.” Teak is imbued throughout with natural oils that maintain its beauty and durability in a most self-sufficient way. Using sealants and oils are not recommended for teak – especially new teak furniture – because they trap moisture in the wood encouraging the growth of mildew. The original honey color of teak will, within just a few months, begin to weather into a soft, silvery grey and this is simply the evaporation of the outer layer of oil. If you wish to maintain the original color, there are special cleaners that will remove the patina and special teak sealers that can be used to prolong the weathering process, but, again, this is not recommended for new teak wood that has yet to turn. Whether you choose to treat your teak furniture or let it age naturally, keeping it clean is easy with a mild, soapy solution and a low-pressure rinse. For stubborn stains on your teak you may use a diluted bleach solution but be sure to rinse it quickly and thoroughly. Aluminum is a very low-maintenance material for outdoor furniture and can really be left out all winter long without any permanent damage. It is important to be sure that, if the furniture is made of hollow aluminum pipes, the pipes are drained regularly as water can easily build up inside. Also, while the frames of aluminum furniture are made to be rust-proof, oftentimes the nuts and bolts used to join them are not. To avoid ugly rust stains around the joints, apply an ample coating of petroleum jelly twice per year. Aluminum can be washed with a mild detergent and rinsed well and to keep some types of aluminum from developing those pesky water spots, they should be dried by hand. Wrought and cast iron are still highly favored materials for outdoor furniture both for their beauty and durability. They are also rather low-maintenance and can endure extreme conditions all year round, but there are a few things that can be done to ensure many years of continued use. While both materials are rust-resistant, they will eventually oxidize over time. It is important that they are treated with a rust and waterproof paint or sealant and that any chips be touched-up as soon as possible. To keep the luster on the higher-gloss wrought iron tables, it is recommended that a light coat of automotive wax be applied (any kind will do) once per season. Plastic and PVC outdoor furniture are hands-down the easiest to maintain, but some can crack in extreme weather climates and fade in intense sun. To avoid cracking over the winter simply provide adequate covering, or if possible, bring into an indoor space like a shed or garage. Keeping plastic furniture in heavily shaded areas when not in use can help slow down the fading process considerably, and washing with a mild detergent can help reduce permanent stains or watermarks. Few materials add elegance and beauty to an outdoor space like stone. Marble, limestone and decorative concrete are perhaps the most low-maintenance of outdoor furniture materials, requiring nothing more than an occasional mild detergent and rinse. The main concern with stone is cracking and breaking over the winter months, so it is very important to make sure your pieces are covered when the temperature dips below freezing. Unlike wooden furniture, the cover does not need to be breathable, in fact the more humidity that is trapped the less likely the stone will freeze and crack. Keeping leaves and debris from stone is a good idea because if they are left too long they can stain the surface. The cushions and upholstered fabrics on your outdoor furniture are vulnerable to things as mild as fading and as harsh as mildew and insect infestations. All cushioned furniture needs to be kept as dry as possible at all times and never left on the ground. If you do neglect to bring in your cushions and they get rained on, dry them thoroughly in a place with as much air flow as possible (like hanging over a railing). An occasional spritz of white vinegar will help keep mildew and some insects at bay, but if your outdoor cushions have been repeatedly exposed to moisture, they should be professionally cleaned. Following these relatively simple tips will help maintain the beauty and lifespan of your patio furniture for many years to come. So relax, enjoy your summer and your sacred outdoor spaces! 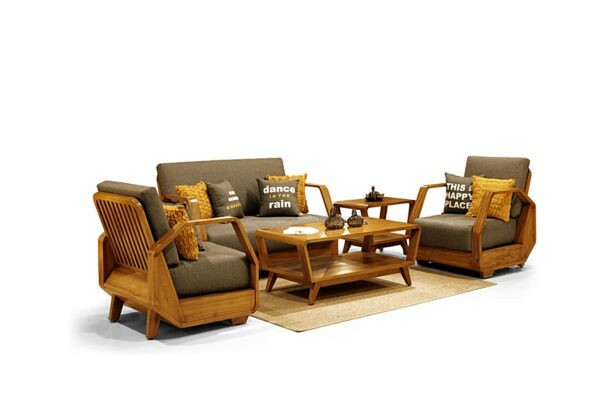 Outdoor Teak Furniture There are so many types of outdoor furniture, one of their fuction is to beautify the home, especially for outer part of the house. Outdoor Furniture can be made from several material such as : Steel, Stainless Steel, Iron, Aluminum, Bamboo, Teak Wood, Bangkirai Wood, Merbau Wood. Tectona Grandis is the scientific name of Teak Wood. Even the furniture made from Teak Wood is very expensive compared to other materials but many consumers would prefer Teak Wood as their furniture than any other materials. 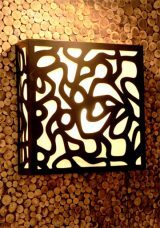 The features of Teak Wood that create many consumers prefer this material than any others. Outdoor Teak Furniture have a specific color and it is the beauty of this furniture beside the durability of the material itself. The furniture made from Teak Wood, especially for outdoor furniture, it is recommended that for the first week of receiving the furniture, put teak oil on all surfaces of the furniture on daily basis, thereafter on monthly basis. If we compare with other solid wood which have the same growth time, teak wood is still being the favorite because teak wood have strength, quality, durability, and decorative value. Also for the teak wood manufacturer, the process of making furniture from teak wood is simple and easy in term of construction and making the frame. But the point is on the quality, because it is not comparable with other kind of wood. Outdoor Teak Furniture usually use several types of finishing, a fine sanded, teak oil, UV protection treatment, and H2O treatment. Outdoor Teak Furniture can be placed in your garden spot also, well, in some part of garden we always find the boring spot and blind spot of the space in the garden. Therefor, it is some ideas to make the boring spot space in the garden for relaxing whenever you have your leisure time. Outdoor Teak Furniture can be functioned as Garden Teak Furniture also because garden is the space where we always spend of leisure time and most of our time with family or doing our hobbies in the garden. The great of furniture choosing for your garden it will be your great treasure for the future and your life time with your family also. 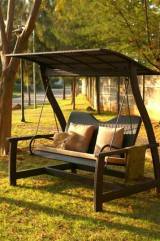 Have a nice shopping and have a good choose for your garden furniture. Welcome to Piguno, perfect choice for high quality of Indonesia furniture product with 23 years of experience. As one of the leading furniture manufacturer, Piguno has become a leader in Indonesia Furniture export industry. We will provide you with passionate service to fulfill any requirement and needs to achieve customers satisfaction. Our managerial expertise, highly skill workmanship and creativity of our people will deliver a multi beneficial business relationship as well as high quality product. Proses desain interior yang dirancang untuk membantu Anda memaksimalkan anggaran dekorasi Anda.